Products are designed in-house by a team of active enthusiasts and skilled technicians. They use the latest CAD technology and 3D printing techniques to innovate, analyse, test and develop the range in pursuit of the best product experience for their customers. In addition to OXFORD branded products, the company uses its expertise to design and produce for numerous other labels around the world. Like many of its products which have wider appeal in other outdoor-based markets, this activity is not restricted to the two-wheeled industry. 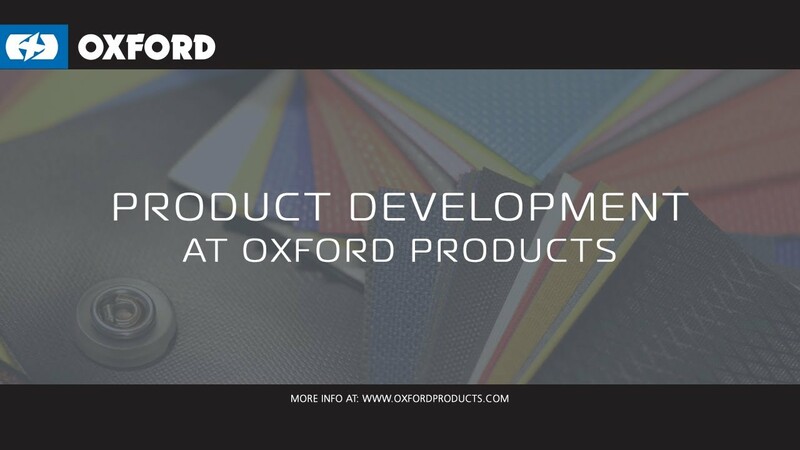 At its heart, Oxford is a products company – Oxford Products! The team develops the products in-house, increasingly through the use of Computer Aided Design. In order to maximise the benefits of CAD, the company has invested in the latest 3D print technology. This means that a product or component designed today can be printed off overnight and tested tomorrow. The day after, our factory can be making the moulds and production can begin shortly after. In this way, product development time is dramatically reduced and the end result far more relevant and ambitious.